We now have an In-House production which highlights the exceptional style and design of handmade religious items. Don’t miss this opportunity to explore our customized products. The following is our exquisite collection of Saint Rita. 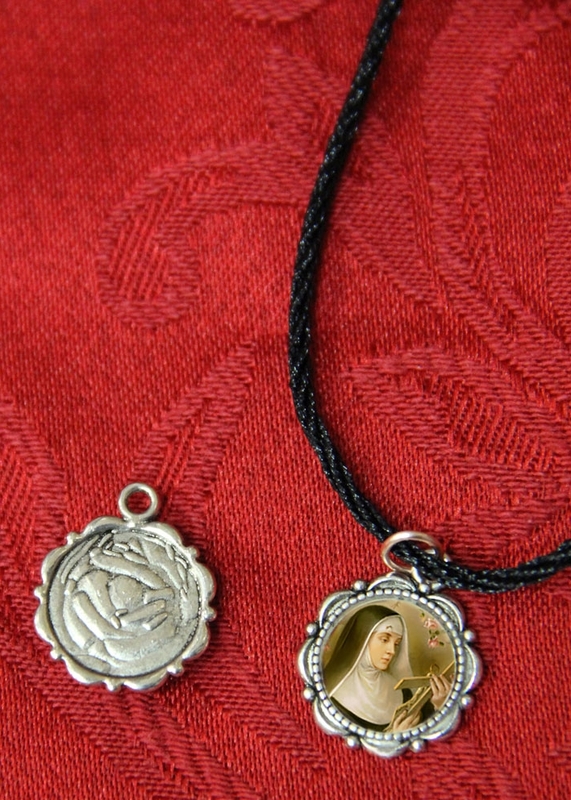 Handmade Saint Rita flower alloy pendant with diameter of 14mm, comes with an 8 inches Black Cord. This handmade Saint Rita keychain is one of our most exceptional products. The image of Saint Rita was beautifully drawn by Fr. Gene DelConte, OSA, our beloved friar who passed away in 2016.